Recently, I was lucky enough to be in Melbourne for a girl’s weekend for my cousin’s birthday. Melbourne is just spectacular at this time of year; cool enough to actually feel winter (unlike Brisbane, which never really gets a ‘real winter’). As we were there in early June, we had the chance to experience the leaves on the gorgeous Liquid Amber Trees fall, still full of colour. There is really nothing quite like it, such a gorgeous sight. 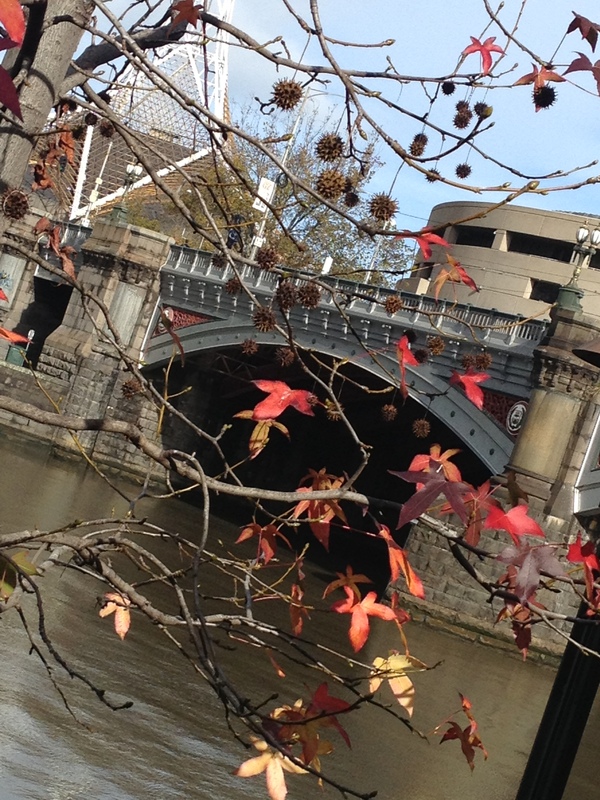 Walking around the wharf in your coat, boots and scarf and seeing these beautiful leaves fall is amazing. This picture was taken as we were having drinks at the Riverland Bar on Federation Wharf in Melbourne’s CBD. Couldn’t think of a better way to start Tegan.Rachelle than to share with you a gorgeous part of this season.